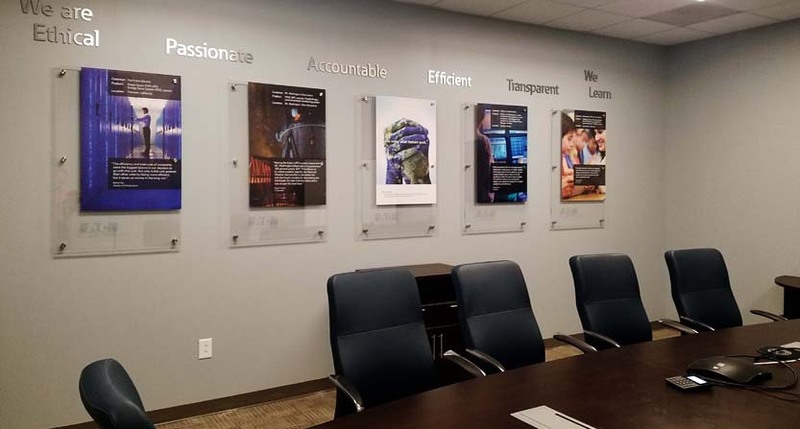 Enhance your brand and improve your office decor with top-quality acrylic signs. We offer unlimited options in acrylic signage to create a sophisticated, professional appearance. Showcase your business with stunning acrylic photo prints, dimensional letters or acrylic signs. The sleek and modern appearance of graphics printed on acrylic will create a polished business environment. Our skilled team customizes endless options in acrylic art and reception signage. Let us help you establish a mood suited to the needs of your business, its clients and your workforce. Acrylic prints turn your photos into stunning, high-end artwork. Our stunning acrylic prints add a modern appearance to your business interior. Use them in lobbies, conference rooms or offices. Plexiglass provides unmatched depth and vibrancy to your photos and signs. The acrylic print is wall-mounted using invisible cleats or metal standoffs. Our state-of-the-art, digital printing processes create beautiful photos. Combine photos with text, maps or other graphics to create stunning, museum-quality signs. Dimension and lighting are key to great aesthetics. Make your brand pop with the perfect materials to compliment the color and style of your logo. 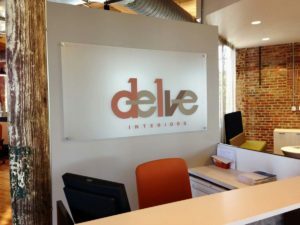 Dimensional letters are a great way to add a professional touch to your lobby, store or work place. The 3D nature of cut acrylic logo signs creates a unique visual interest to an otherwise flat wall. Enhance the 3D effect of acrylic letters by installing spacers behind the letters. Acrylic signs add a polished touch to any business environment. The sleek and modern design of acrylic conveys professionalism to your clients. Cut vinyl on clear acrylic provides a bold way to display your message. Using frosted vinyl provides a softer look that compliments many decors. Either choice differentiates you from your competition. Clean, bold, and beautiful! Acrylic boards bring your brand alive with full-color a unique and elegant finish. 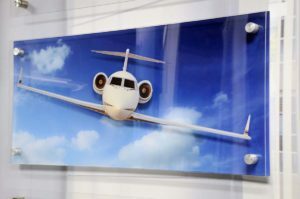 SpeedPro Imaging NW Raleigh is your source for custom acrylic signs in Raleigh, Durham, RTP and Cary. We are conveniently located just 1 mile from I40 and Aviation Parkway in Morrisville, NC. Call today to schedule a consultation and see how you can transform your space.